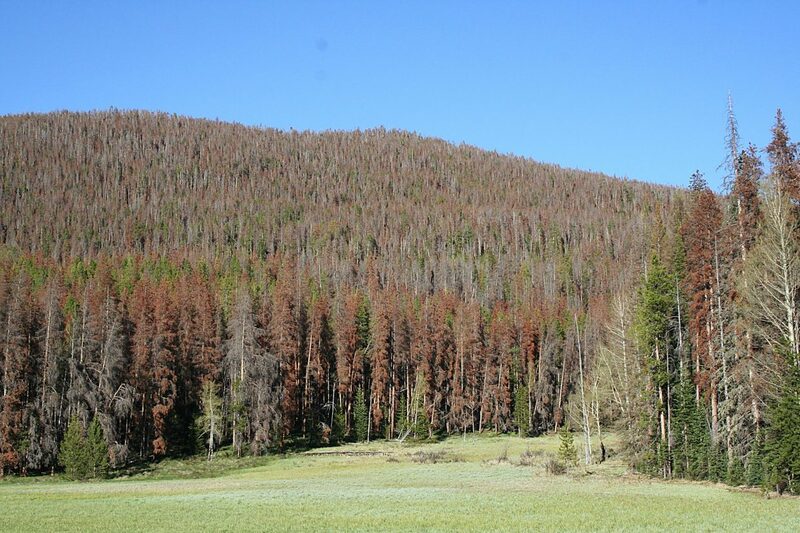 Past mountain pine beetle impacts in Grand County, Colo. 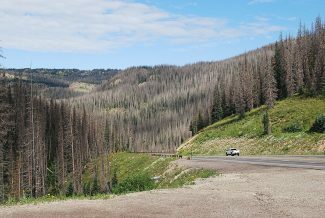 Spruce beetle impacts in southwest Colorado on Wolf Creek Pass. 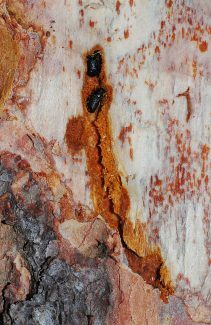 Adult spruce beetles under the bark of a tree. 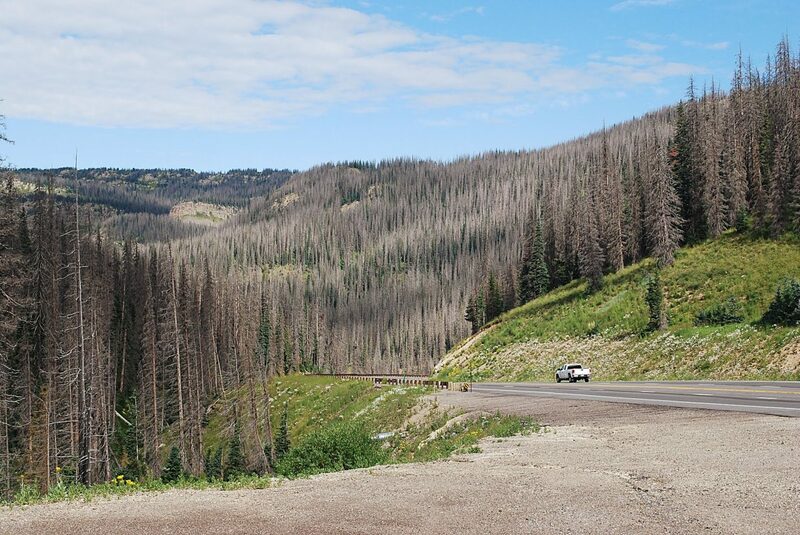 FORT COLLINS, Colo. — Over the last seven years, the number of dead standing trees in Colorado forests increased almost 30 percent, to an estimated 834 million trees — or nearly one in every 14 standing trees. 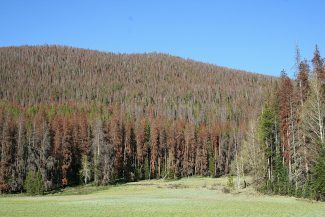 And this trend of increasing tree mortality — which is most observable in spruce-fir and lodgepole pine forests impacted by bark beetles — may result in forests conducive to large, intense wildfires like the 2016 Beaver Creek Fire that burned through beetle-kill timber northwest of Walden. The 2016 Report on the Health of Colorado's Forests, distributed Feb. 15 by the Colorado State Forest Service at the annual Joint Agriculture and Natural Resources Committee Hearing at the State Capitol, highlighted this and other observed forest trends for the state. The theme of this year's report is "Fire and Water," focusing on how wildfires and unhealthy forest conditions impact human populations, water supplies and forested environments. "When so many trees die and large wildfires follow, our forests quickly turn from a carbon sink into a carbon source," said Mike Lester, State Forester and Director of the CSFS. "Beyond the implications for our atmosphere, forests in poor health have implications for our water supplies, public safety, wildlife and recreation opportunities." ·Colorado's decades-long mountain pine beetle epidemic resulted in almost 3.4 million acres with some degree of tree mortality; an ongoing spruce beetle epidemic has thus far resulted in 1.7 million impacted acres. ·Approximately 80 percent of the state's population relies on forested watersheds for municipal water supplies. ·Risks ranging from severe wildfires and insect infestations to long-term droughts are likely to be amplified in the future, as climate model projections predict statewide warming between 2.5 F and 6.5 F by 2050. "With increasing changes in our forests, now is the time for determining how we will manage for projected future conditions," said Lester. He says that actions the CSFS is taking now to address these threats include forest management efforts focused on watershed protection and reducing wildfire risk; providing seedling trees for restoration efforts; wood utilization and marketing; and insect and disease detection, surveys and response. 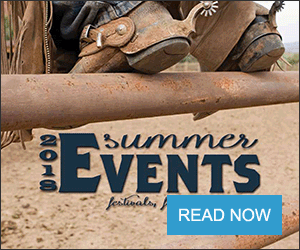 Much of what the CSFS accomplishes is through key partnerships with other agencies and organizations, including those with the U.S. Forest Service, Denver Water, the Northern Water Conservancy District and Colorado Springs Utilities. The agency also offers or assists with many programs and resources for communities working to become fire-adapted, including Community Wildfire Protection Plans, Firewise Communities/USA and the online Colorado Wildfire Risk Assessment Portal. Each year, forest health reports provide information to the Colorado General Assembly and residents of Colorado about the health and condition of forests across the state, including recent data, figures and maps. Information for the reports is derived from an annual aerial forest health survey by the CSFS and the Rocky Mountain Region of the U.S. Forest Service, as well as field inspections, CSFS contacts with forest landowners and special surveys. 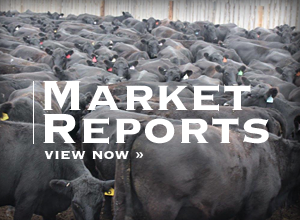 Copies of the 2016 report are available at all CSFS district offices and at http://www.csfs.colostate.edu.